This wingsuit flight is amazing. Talk about overlanding! 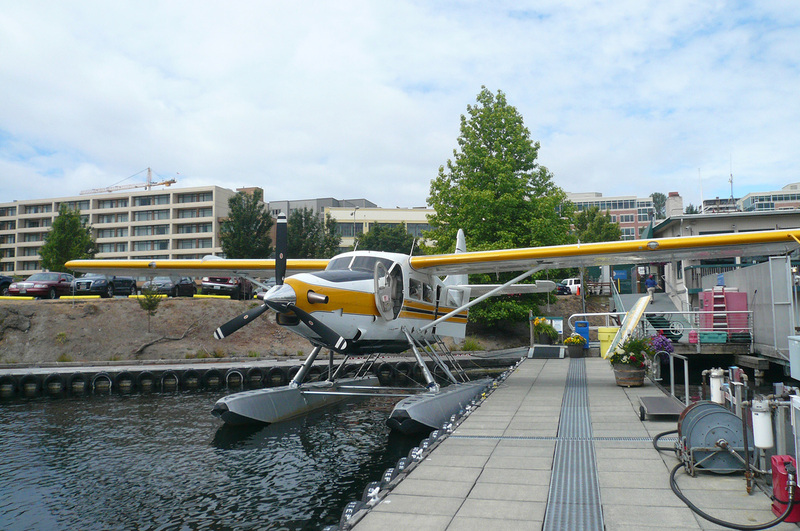 Here’s the seaplane at the dock at Lake Union. A couple of weeks ago I got on a seaplane docked at Seattle’s Lake Union and flew to Victoria, on Vancouver Island, to pick up our truck, which we’d left behind when we sailed from Canada. It turned out that flying was the most convenient, quick way to get there. Sweet. The plane belonged to Kenmore Air and the flight was $140 one way. Here are some photos of that trip.